When preparing to make a sequel for Forza Horizon, developer Playground Games went to its fan base to find out what they loved most about the game. The responses could be boiled down to three separate categories: Freedom, fun and beauty. Keeping that in mind, Forza Horizon 2 is leaving Colorado and heading to France and Northern Italy for an off-road trip. "We found that the key to beauty in the game is the light, said Playground's Ralph Fulton. "We are using the modified Forza 5 engine, and capturing the light in many different ways. We have added dynamic weather for the first time, and watching how we make the light bound off the wet roads, or how it looks as the road dries is really breathtaking." Fulton said that the move to Europe also adds more incredibly beautiful countryside for the team to recreate for the pleasure of players. As for freedom in the game, expect there to be more of it, as players can now go off road and cross country for shortcuts in races. "Now that we are no longer limiting drivers to the roadways, we have three times the amount of drivable space in the game," Fulton said. "Players can go in any direction and across any terrain." To illustrate the point, the demo took a quick left turn and started driving through orchards and hilly countryside, before making in back to the roadway. The car also doubled back, reversed course and took a completely separate off-road route. And as for the fun, Fulton said that Forza Horizon 2 will give players even more to do, and allow "drivetars" to continue races with your friends and earn you points and money while you are offline. He said the ghost drivers will learn how you drive and be able to fairly well simulate your abilities when you aren't in game. "It takes the mundane and makes it special," Fulton said. "And when you are in game, the more skills you show off, the more you will be rewarded. Skill points that you earn can be used to unlock other options, such as a fast travel system or the ability to actually earn experience points that you can spend. So it will be just as important to be stylish as it will be to win a race." The Horizon Festival returns with more races and music. Endurance and cross country have been added to the types of races available, with more than 700 races eventually being at the driver's disposal for around a hundred hours of race time. The showcase will also make its return. Fulton also revealed about Car Meets, where players can drive in from their solo play experience into a multiplayer matchmaking get together at the press of a button. Players will be paired with drivers of a similar skill set using a "smart match technology." Players can then talk and hangout, before driving off together for a race or just exploring the countryside. While exploring, players might come across barns, and inside these barns are cars that need work and repair that are added to your stable of vehicles. Fulton said than more than half of the cars found in these barns have never been in Forza before. 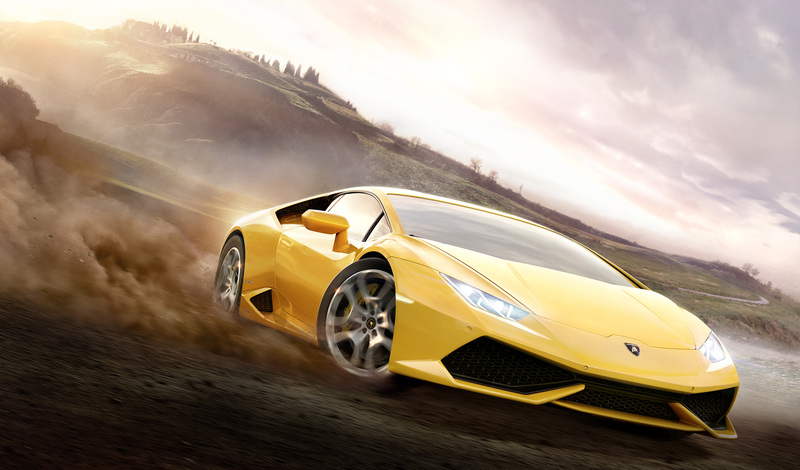 Forza Horizon 2 will be coming exclusively to Xbox One and Xbox 360 on September 30.